By lunchtime today, General Motors had announced that it was closing down five of its North American assembly and propulsion plants next year, including the Oshawa Assembly in Ontario, Canada. Following the announcement, unionized workers at the Oshawa plant walked out in protest, and the union president claims GM’s decision goes against the union’s collective agreement. Quickly following the news break that GM was planning to shutter the Oshawa plant, Unifor, the trade union representing the workers at the plant, instructed its members to walk out even before GM could make its planned internal announcement, according to CTV News. According to Dias, the contract negotiated between Unifor and the company in 2016 spelled out that GM would not close any of its manufacturing plants in Canada during the contract period, which runs until September 2020. 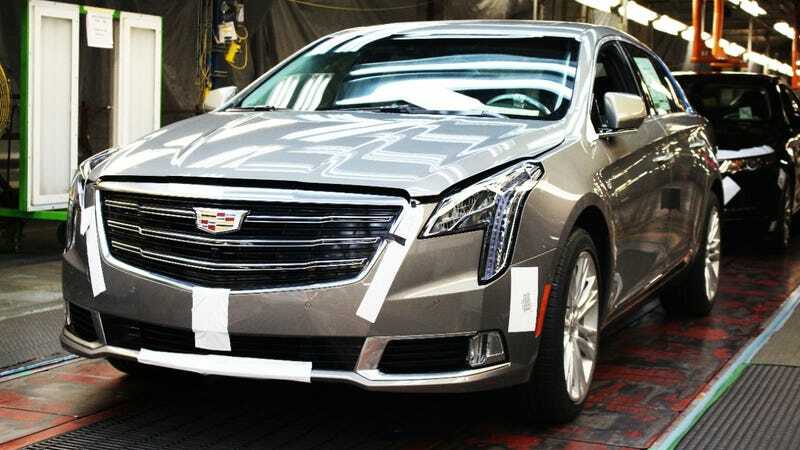 The plant currently assembles the Cadillac XTS, Chevy Impala, Buick Regal, and does finishing work on the Chevy Silverado and GMC Sierra pickups. In a followup call, a spokesperson confirmed that GM representatives have been meeting with Unifor members on a daily basis to discuss the company’s decision, the scale-down of production and employment, and the distribution of benefits to the workers in accordance with the union contract. Premier Ford told Reuters he spoke with GM’s Canada President Travis Hester, who told him the “ship has already left the dock” on negotiating keeping the plant open. Unifor instructed workers to return to work as usual on Tuesday. Closure of the plant would leave 2,500 unionized workers and 300 salaried workers unemployed. It’s been in operation since 1953, and according to a 2015 union study via Reuters, the plant represents $1.1 billion Canadian, or roughly $754 million U.S. at current exchange rates, in gross domestic product. GM’s other announced plant closures include the Detroit-Hamtramck Assembly in Michigan, Lordstown Assembly in Warren, Ohio, Baltimore Operations in White Marsh, Maryland, and Warren Transmission Operations in Warren, Michigan. Altogether, the estimated impact of the closures is “up to 14,000” job cuts according to the Associated Press, pending upcoming union negotiations.